We as a community are prone to think of economic cycles as cycles that last for an extended period of time. But “macro trends” these days are akin to “fashion trends”, and have a very short life span. The RBI should always maintain a neutral stance and calibrate policy rates based on incoming data. Forecasting macro-economic variables and prices in a volatile global environment has truly become a humbling experience for the investment community. Macro risks are becoming more idiosyncratic in nature and, thereby, hard to predict. The biggest conundrum for fore-casters has been the behaviour of CPI inflation. It is not just the RBI, but even the wider investor community has consistently overestimated inflation. For instance, CPI inflation for Q3FY19 is tracking 1.6% below RBI’s April 2018 forecast of 4.3% The undershooting of forecasts has been driven by benign food prices and even a generous increase in the minimum support prices has not really been able to influence traded food prices. As a result, even as the Monetary Policy Committee (MPC) did not hike the policy rates in October when the market was expecting one, the new stance of calibrated tightening seems to be out of sync with the new reality of sharply lower inflation. RBI does not provide separate forecasts for core inflation (excluding food and fuel prices). But, it is reasonable to presume that those forecasts have been more accurate, as they respond to the underlying demand conditions and are less volatile. However, the mandate given to the RBI is to manage headline inflation in the 2-6% band, and not core inflation. If core inflation has not proved to be an accurate predictor of headline inflation, then RBI cannot consistently ignore sharp disinflation in food prices and consequently lower inflation. Real policy rates, ex-post, have typically turned out significantly higher compared to RBI’s guidance of a suitable range of 1.25–1.75%. Based on actual inflation prints over last two years, real policy rates have averaged 2.5%. Despite this fact that monetary policy proved tighter than envisaged, RBI still forecasts inflation in July-September 2019 at more than 4%, which is the midpoint of its inflation target band. What if these forecasts are again overestimating inflation? The real policy rates would then continue to remain higher than warranted even as inflation is at or below target and growth outlook faces headwinds from global developments. During the transition to inflation-targeting regime, the unsaid agreement between the government and the RBI would have been that government would manage food inflation at reasonable levels. The government seems to have delivered their part of the bargain. 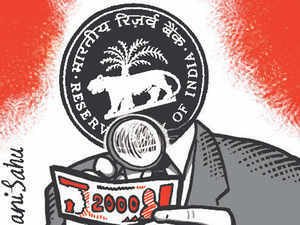 So, is it time for RBI to deliver by cut-ting interest rates? Here is where things get a bit complicated. Firstly, RBI targets to achieve 4% inflation on a durable basis and it might still lack the conviction that upside risks have receded completely. Secondly, RBI’s survey of inflation expectations continue to show that even when food and fuel prices decline, forward looking expectations are slow to react. Inflation expectations are adaptive in nature. But if inflation expectations stay at double digits even as CPI inflation has averaged 3.6% in FY18 and FY19 (E), then the efficacy of taking monetary policy decisions based on these surveys needs to be questioned. Thirdly, food prices are to a great extent dependent on the political economy and the perceptible rise in rural distress due to lower prices might make MPC question the sustainability of negative food price inflation. It is plausible that food prices do not go up despite government’s direct attempts, but inflation shows up through fiscal channels. But how long would the wait continue, and how would such a conservative approach be justified in case government sticks to the budgeted fiscal targets? In my view, there are few key implications of this analysis for the monetary policy framework. Firstly, in an increasingly unpredictable world, there should be no explicit stance of monetary policy. The RBI should always maintain a neutral stance and calibrate policy rates based on incoming data. Therefore, the first step should be to move to a neutral stance in the February policy and guide the market based on actual data outcomes rather than just the forecasts of forward looking inflation. The forecast errors have kept monetary policy tighter than warranted and it is important to explicitly recognise that. Secondly, there is no value in giving any guidance based on real rates if they are not going to be consistent with the realised outcomes. MPC can either guide the market based on the primacy of meeting the 4% inflation objective on a durable basis or on keeping policy rates consistent with preferred real rates range. Simultaneously achieving both these objectives might not be consistent. But if real rates do matter for MPC, then the logical course of action for them can only be to reduce policy rates by 25-50 bps.